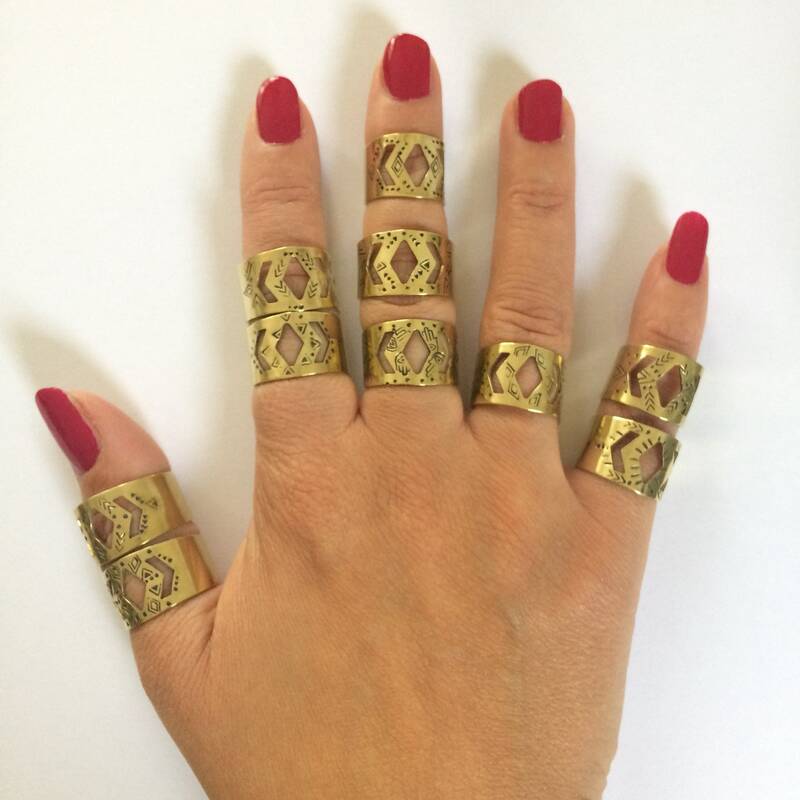 Absolutely stunning golden brass ring. 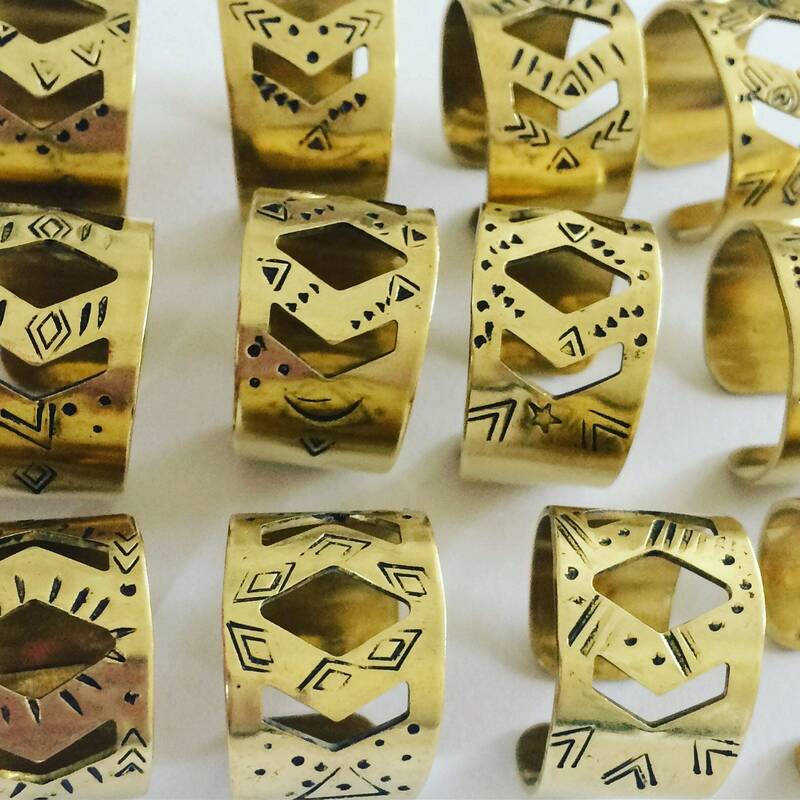 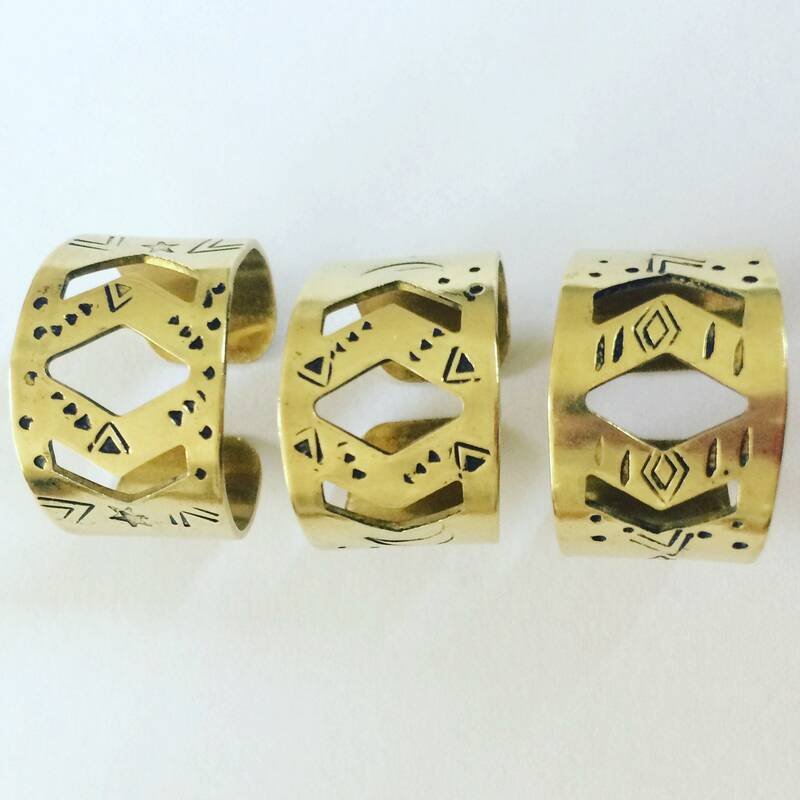 Hand stamped with tribal inspired designs and polished to a high shine. 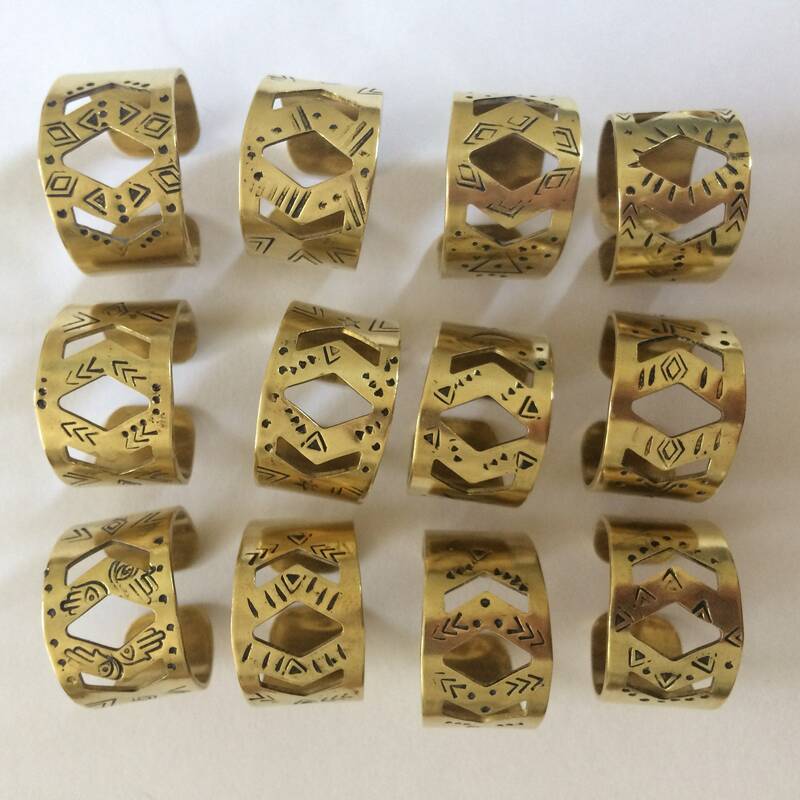 Each ring is completely unique, absolute one offs and never to be repeated! 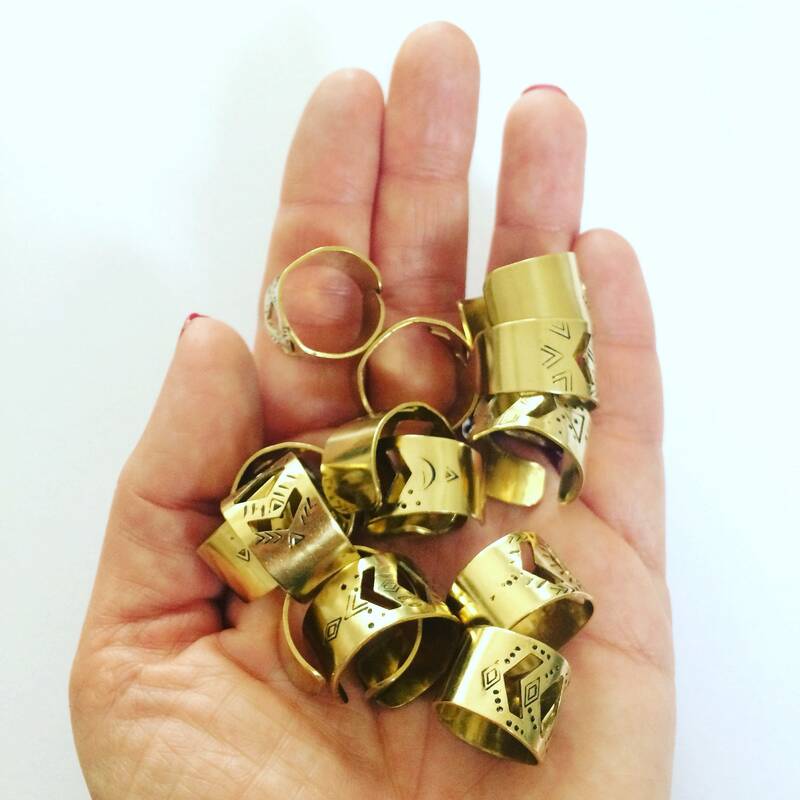 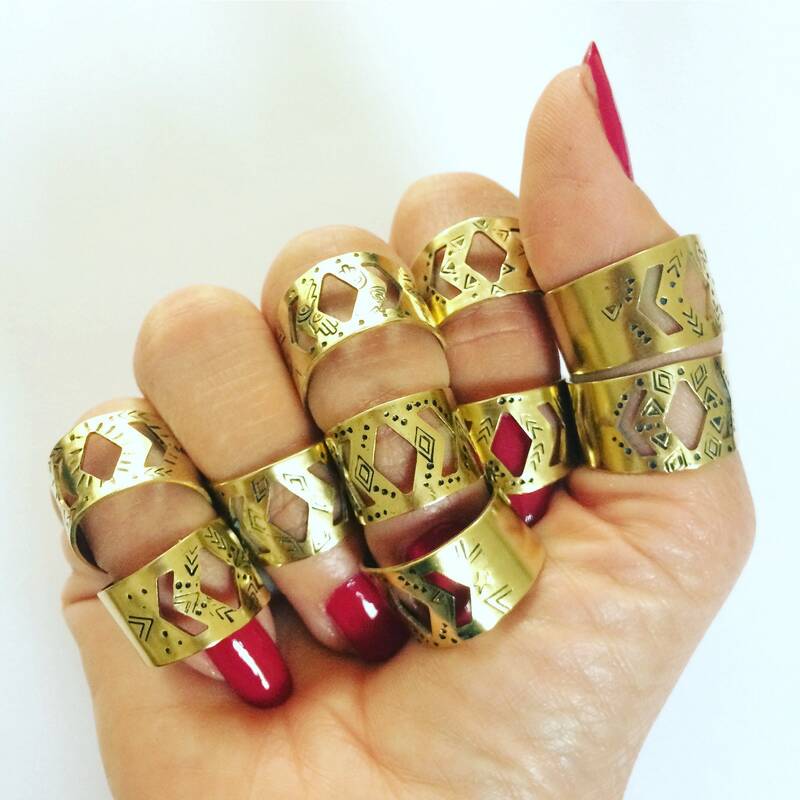 These rings are adjustable and range from UK size M to V approximately. 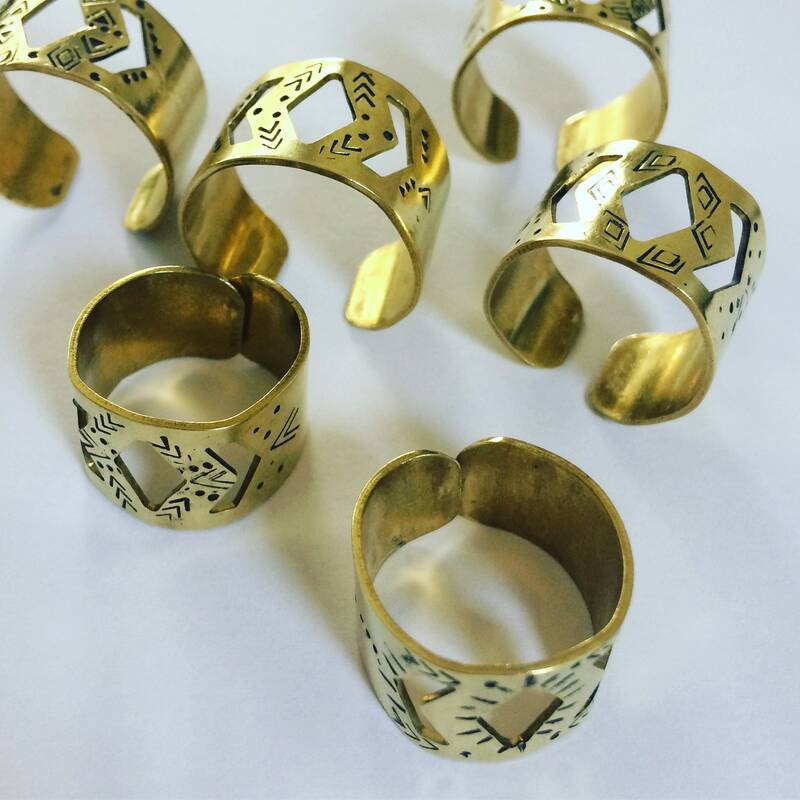 Brass is quite malleable, especially when warmed slightly by rubbing in your hands. 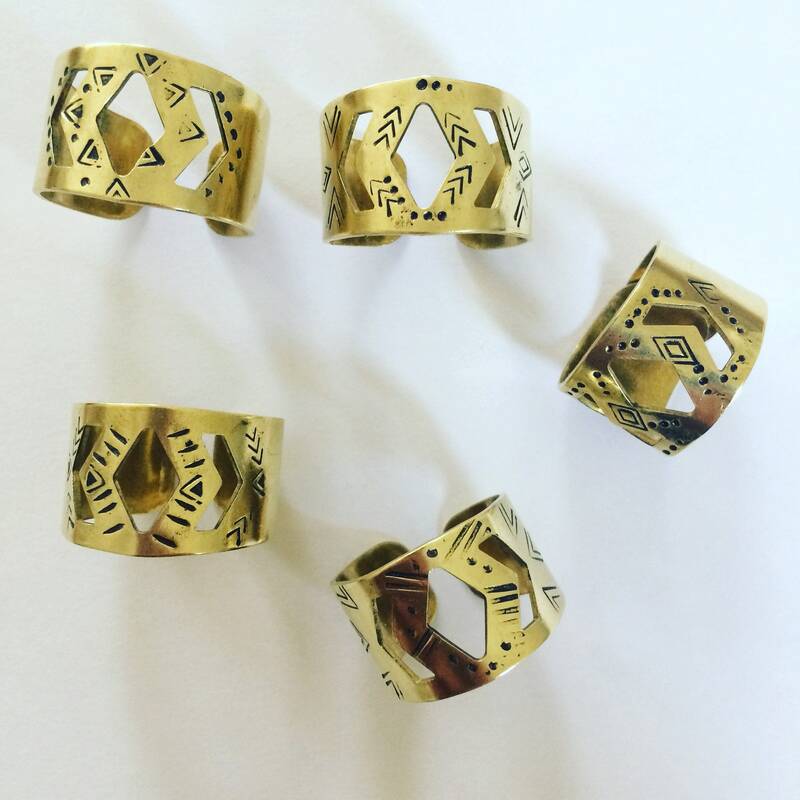 I cannot send specific rings from the photographs as my stock and designs are constantly changing - so your ring will be a surprise you will love!